DIY Christmas Ornaments with Pom Pom Gnome! A craft that you will love for your Christmas tree and decor! Easy and relaxing! What about gnomes? Really, what about them? Well… I am in love with them. And with the elves of course! I think, in my previous life I could easily be a gnome or an elf or a short elf like gnome. Really, I consider them almost the same! The only thing I know, is that I consider them really cute and that’s why our fireplace is decorated with a small gnome and elf village the whole year! During Christmas of course we add a small Santa Claus and more lights, but you got the idea! Also, I am a pom pom fanatic! 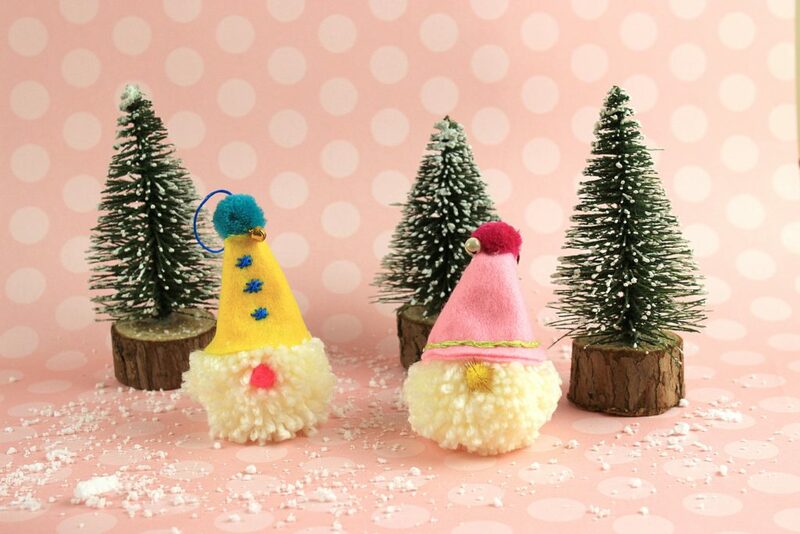 And if you compine pom pom and gnomes you have a new craft! DIY Christmas Ornaments with Pom Pom Gnome! Let’s begin! Because the first part of this craft is really relaxing!!! 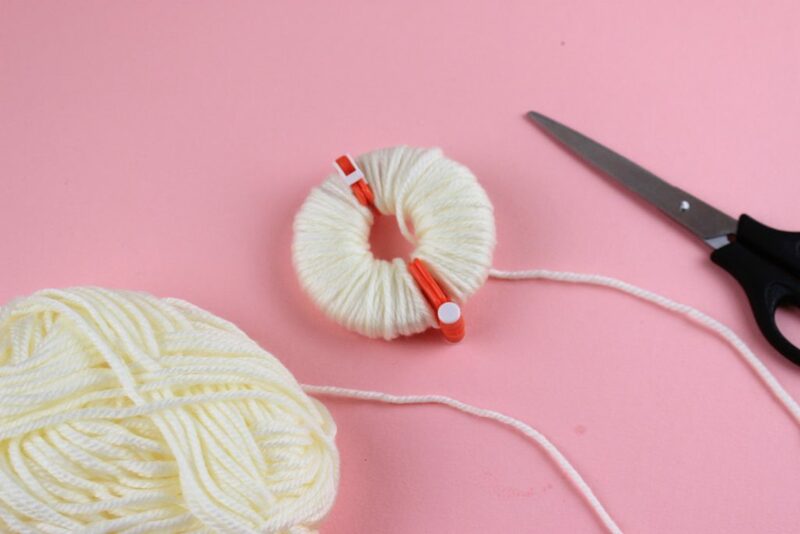 Start by using the pom pom maker and the yarn to create pom poms! 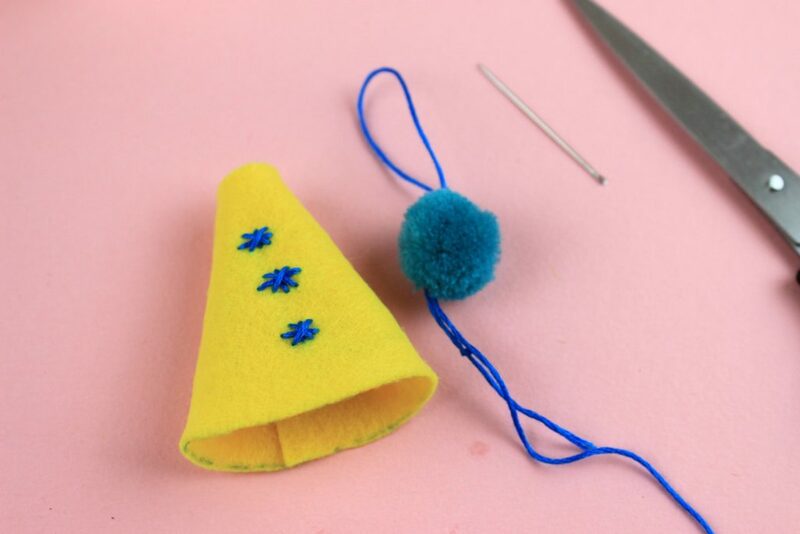 Check the procedure how to make pom pom here! Cut remaining yarn if needed to make it more symmetric. Let’s make now the hat of our gnome. You will need felt and a plate. 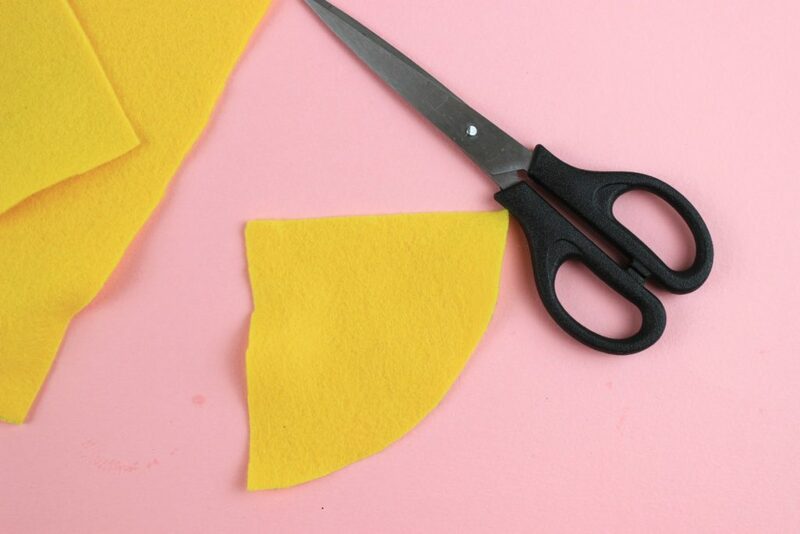 With the plate make a cyrcle on the felt and cut it with a scissor. Then cut the cyrcle in 4 pieces and use just one of them. If you wish you can decorate it with simple embroidery stiches, like simple lines or snowflakes or dots. No need to have a great embroidery background, simple dots are just fine. Use the hot glue to close the hat. 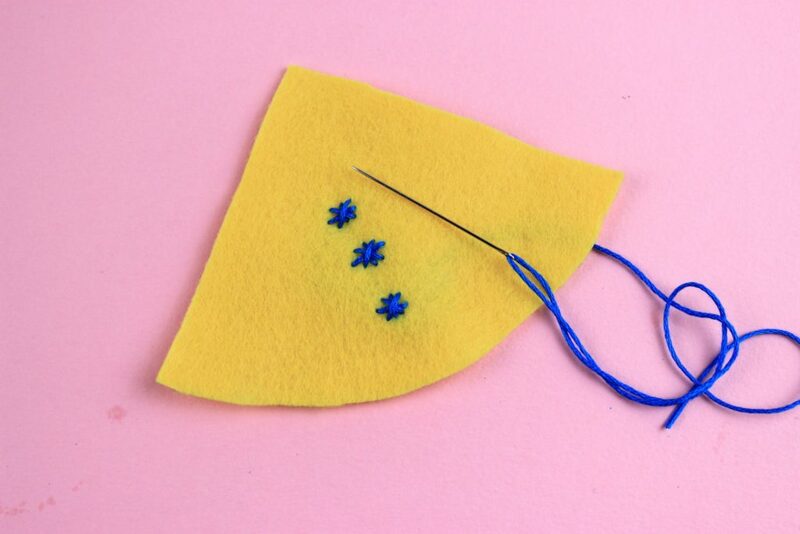 Pass the felt bead with embroidery thread, make a simple knot and pass it back at the same point again. Glue it on the end of the hat. Christmas without bells are not Christmas…at least for me. So a tiny bell in the hat and now the hat is completed! Baby it is cold outside, even for the cute gnomes, that’s why they have put the hat in a way to cover their ears and eyes. And that’s why you can only see their nose… a small felt bead of course! 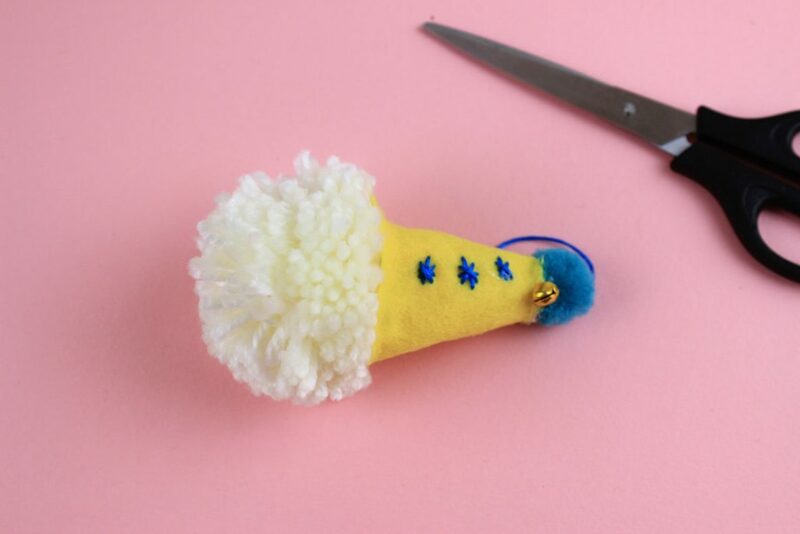 I love pom poms because it is really relaxing to make them and then they are really easy to use them. In decoration, in fashion accessories, in wrapping gifts…too many ideas! If you have not tried so far to make pom pom, just try it! 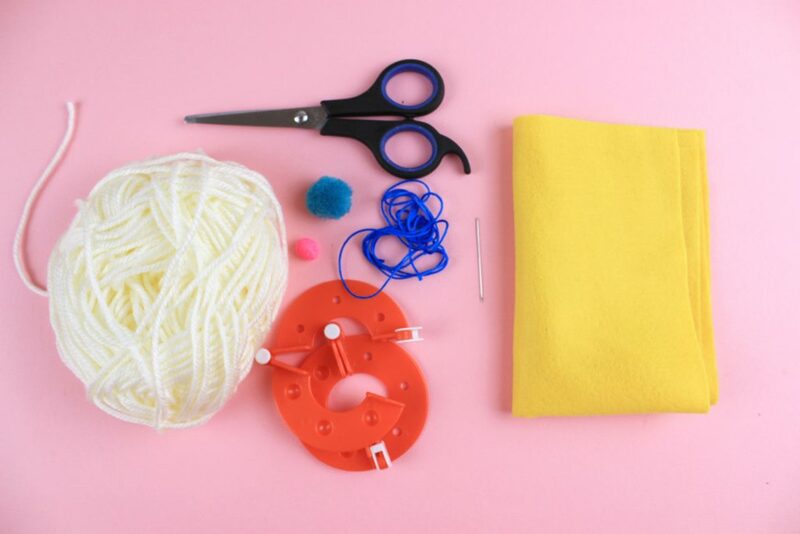 And then you can check more diys with them here! So what do you think? Shall you try them??? It does look cute with PomPom. The gnome design looks very cute and wonderful. I am sure kids will love doing this. Preschoolers should start this activity right now. That is pretty and very creative. Great activity to do with the kiddos as well. These look absolutely adorable! They’re perfect for the holidays but simple enough that I can make them with my kids. What a great idea! I love homemade Christmas ornaments! These are super cute and they look really easy to make! So pretty! I haven’t done crafts since childhood and the most that I do is attempt my knitting and crocheting. This is truly amazing, looks very creative and easy to do. It is surely worth giving a try this holiday season. These are so cute! I love that you can make them for the holidays. They also look very easy to make. 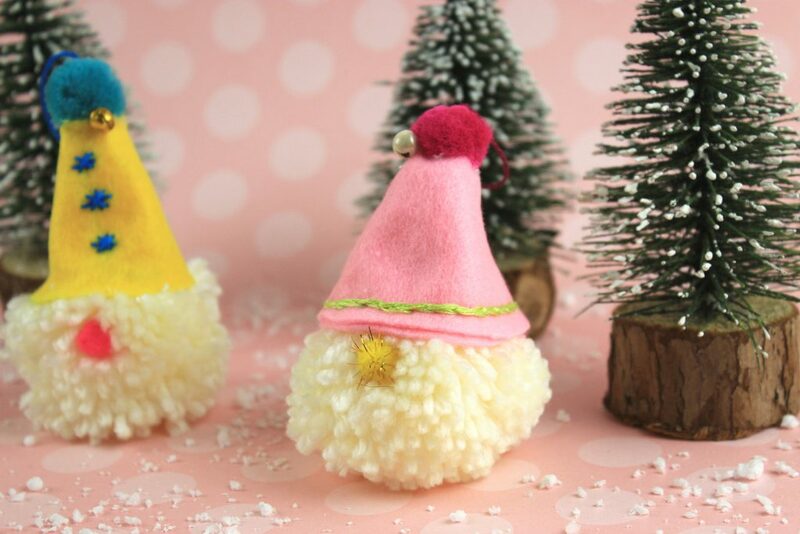 The pom pom gnomes are so cute and creative! I’d love to try my hand at making these ornaments for my tiny desk tree and as stocking stuffers. May you pleasse prolong them a little from next time? Thank you forr the post.